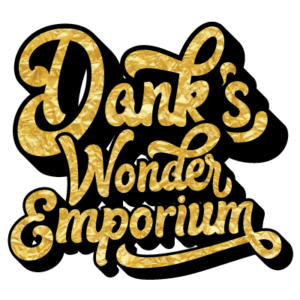 Welcome to the all new Dank’s Wonder Emporium Wonder Website. Order from the new menus, see our specials, and meet our folks. Open in Olympia and Edmonds with more locations to come. Dank’s Wonder Emporium is your premier recreational and medicinal cannabis dispensary located in the beautiful state of Washington’s capital city, Olympia! With locations in Edmonds and more on the way. All the wonder you have been searching for awaits you here at Dank’s. We pride ourselves in having the best and largest selection, the best prices, and most importantly the friendliest Budtenders you can find from sea to shining sea. As a result, we establish real one on one relationships with our guests. If you are looking for a cannabis dispensary that will strive to make you their top priority rather than put you in line and shove you out the door, then look no further! Come meet us and experience the wonder first hand! Check out our stock, Find your product, and order online. Then have your order ready when when you come into the store.